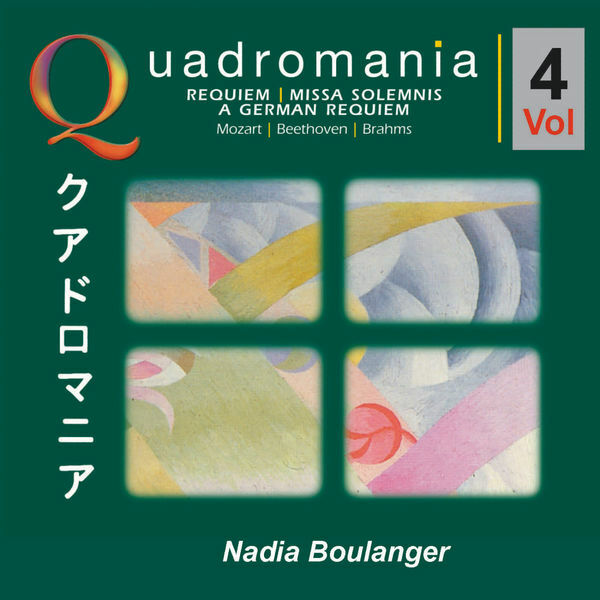 Gabriel Fauré, Composer - Maurice Duruflé, Soloist - Nadia Boulanger, Conductor, MainArtist - Doda Conrad, Soloist - Gisèle Peyron, Soloist Copyright : (C) 2011 M.A.T. Music Theme Licensing Ltd. (P) 2008 M.A.T. Music Theme Licensing Ltd.
Giovanni Battista Pergolesi, Composer - Die Wiener Sängerknaben, Choir - Nadia Boulanger, MainArtist - Victor Gomboz, Conductor - Wiener Streichorchester, Orchestra Copyright : (C) 2011 M.A.T. Music Theme Licensing Ltd. (P) 2008 M.A.T. Music Theme Licensing Ltd.